I have a bride who wants to do a long exposure sparkler shot at her July 14th wedding [HI KIM! :)], so I knew that I needed some practice and grabbed my first ever package of "fireworks." There I was, getting carded at Target. One of my best memories of spaklers happened when I couldn't have been more than 5, at my best friend's house, standing on their front step. With this in mind, I thought it'd be pretty neat to let Isaac try them out. I knew it was a questionable decision, but figured we could just roll with it. I tried to get him to use a hand shield, a la pinterest, but it was a no go. 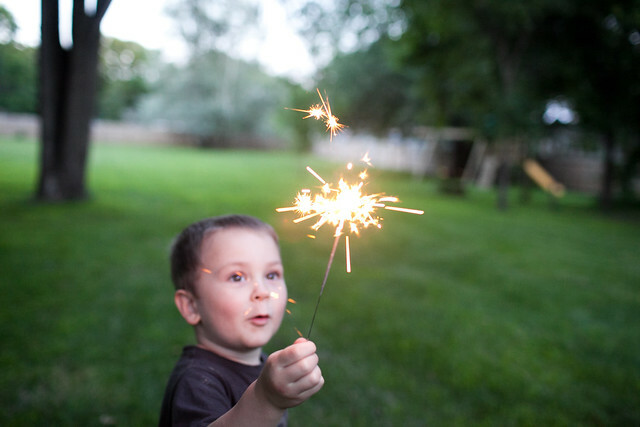 Isaac was more dangerous with it when we tried to just get him to practice holding an unlit sparkler, because he kept trying to grab it with his other hand and straighten it out. We finally just decided to go for broke. Thankfully, it worked in our favor. Ooooooh, the anticipation! I just hope we didn't start this little boys infatuation with fire too early. I took a similar picture on my phone, which is also blurry, but I don't care. I love the look of marvel. Oh these boys of mine. I can just imagine all that they'll be getting into! So while it may have been a questionable decision, we really were happy with the result. Isaac most of all! I love that first picture! His grin in just priceless! You always capture the best memories Leah! Too perfect! 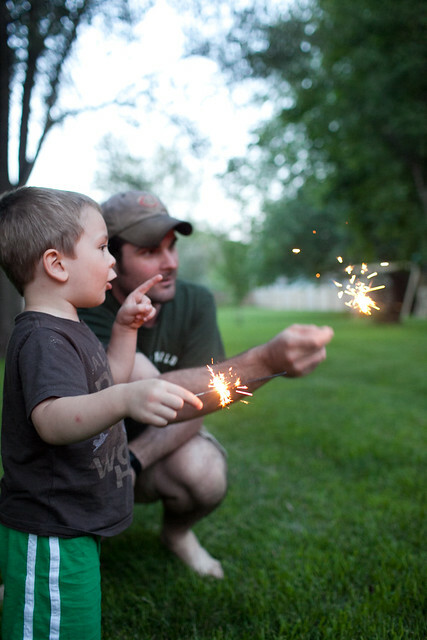 My decision making process may be a little off, because I didn't think it was a questionable decision at all (Lizzy did sparklers last year with help and LOVED it)! Cute!! You can tell that he loves it. 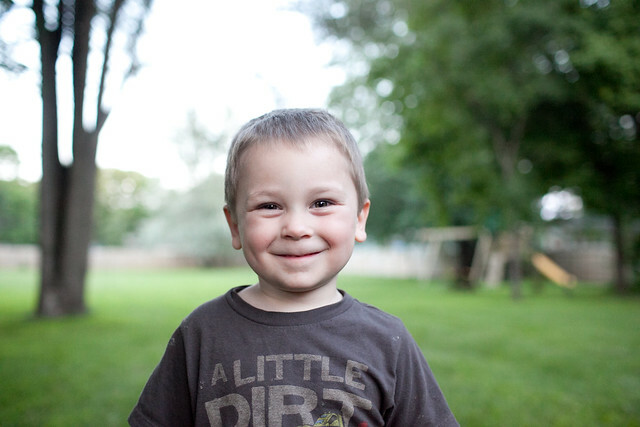 Do you use a tripod for these shots? Those sparkler pictures are very fun! My sister's photographer for their wedding did a few of them and they turned out great. Were you able to get it? 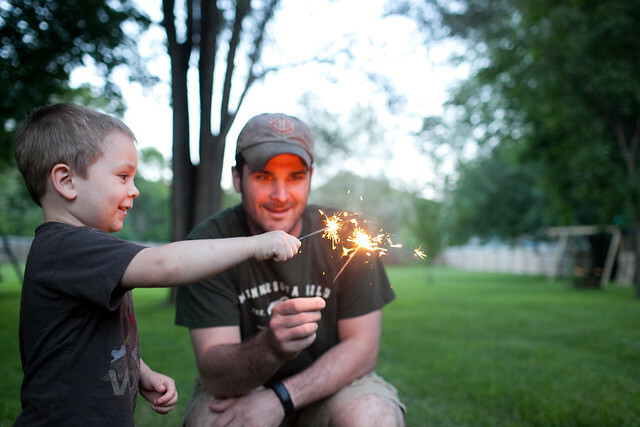 These pictures, while a little scary (because he's holding a sparkler... hot... fire) are really cute. Tony is a great dad and I'm sure he had a close eye on how close those things were to him! I loooove these photos! I think it was a good decision. Good decision for sure! LOVE the pictures!! :-) Can't wait to do this with my own son! He was loving it, so cute. 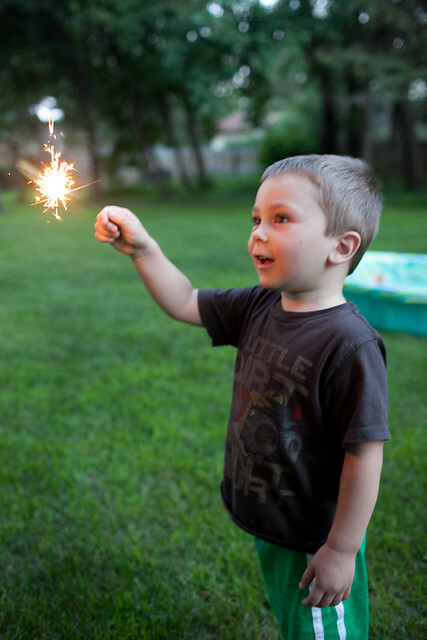 I loved sparklers as a kid.